This was taken paparazzi-style, when we were eating birthday cake last week (we doubled up on Father’s Day, celebrating Dad’s birthday). Evie became very excited whist eating the yummy cake and I was able to capture that excitement. This photo is just beautiful! 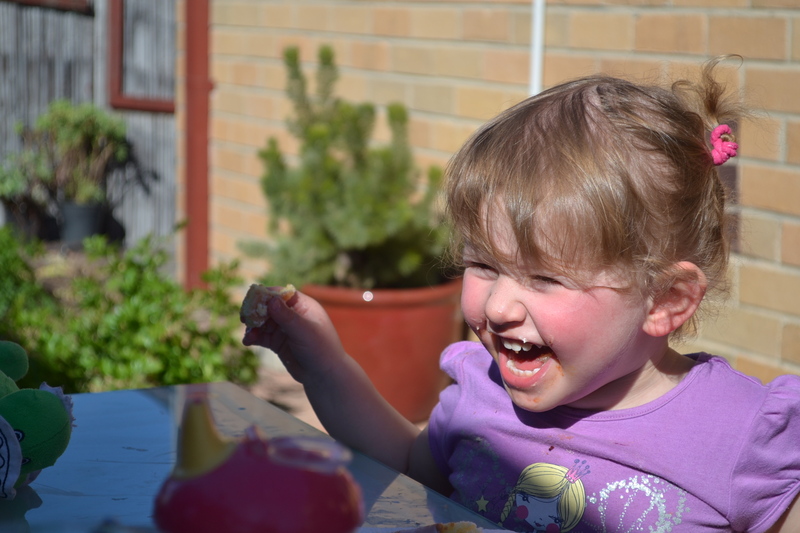 It really captures her personality – she is such a happy little girl (most of the time!!). I’ve made this my PC wallpaper so I can see her gorgeous little face all day. Beautiful pic- she looks like you here! I love this photo, she looks sooooooo happy and full of joy. So absolutely full of joy!